Below you fill find all funeral homes and cemeteries in or near Bremen. Their current mayor is Mayor Sharon Sewell. Zip codes in the city: 30110. Haralson County funeral flowers can be purchased from one of the local funeral shops we partner with. Some of the notable people born here have been: (tom murphy (u.s. politician)), (neal horsley), and (sammy byrd). It was noted on January 27th, 2016 that Audry Allen Colle passed on in Bremen, Georgia. Colle was 87 years old and was born in Little River, KS. Send flowers to share your condolences and honor Audry Allen's life. It was written by Ocala Star Banner on February 26th, 2015 that Clarice C Parrott (Agan) perished in Florida. Ms. Parrott was 83 years old and was born in Bremen, GA. Send flowers to share your condolences and honor Clarice C's life. It was reported on December 22nd, 2014 that Herman W Chambers passed on in Bremen, Georgia. Chambers was 88 years old. Send flowers to express your sympathy and honor Herman W's life. It was reported by Grand Island Independent on February 15th, 2014 that Bill Lee Graham passed on in Omaha, Nebraska. Graham was 68 years old and was born in Bremen, GA. Send flowers to express your sympathy and honor Bill Lee's life. It was written on February 5th, 2014 that Ralph Kenneth Newkirk passed away in Bremen, Georgia. Newkirk was 75 years old and was born in Knox County, IN. Send flowers to express your sorrow and honor Ralph Kenneth's life. It was reported on February 12th, 2013 that Christina Kathleen Jacquinot (Dziubinski) died in Bremen, Georgia. Ms. Jacquinot was 34 years old. Send flowers to share your condolences and honor Christina Kathleen's life. It was noted by The Macon Telegraph on September 15th, 2012 that James Noel Little passed away in Bremen, Georgia. Little was 78 years old. Send flowers to share your condolences and honor James Noel's life. It was reported on August 4th, 2011 that Elaine Doris Powers (Maxwell) passed away in Bremen, Georgia. Ms. Powers was 77 years old and was born in Great Falls, MT. Send flowers to express your sympathy and honor Elaine Doris's life. It was disclosed by Atlanta Journal/Constitution on December 10th, 1996 that Benjamin Gilbert passed on in Bremen, Georgia. Gilbert was 86 years old. Send flowers to express your sympathy and honor Benjamin's life. It was disclosed by Atlanta Journal/Constitution on December 10th, 1996 that Philip Gregory Harden died in Bremen, Georgia. Harden was 41 years old. Send flowers to share your condolences and honor Philip Gregory's life. The population was 4,579 at the 2000 census. 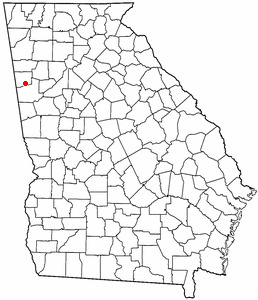 Bremen is a city in Haralson County, Georgia (US state) United States. . . .
A select number of funeral homes are recognized annually by the National Funeral Directors Association (NFDA) for their commitment and dedication to excellence. Hightower, Richard - Hightower Funeral Home, Bremen, GA : Reviews and maps - Yahoo! Local, 770.537.2375. Get Ratings, Reviews, Photos and more on Yahoo! Local. Bremen Funeral planning made easy! Learn how to pre-plan your funeral in Bremen, Georgia, including step-by-step directions. We work with local florists and flower shops to offer same day delivery. You will find budget sympathy flowers in Bremen here. Our funeral flowers are cheap in price but not in value.